Any Sport 2 Tier Starlight Trophies. Available in 4 sizes, 345mm, 370mm, 405mm and 515mm high. 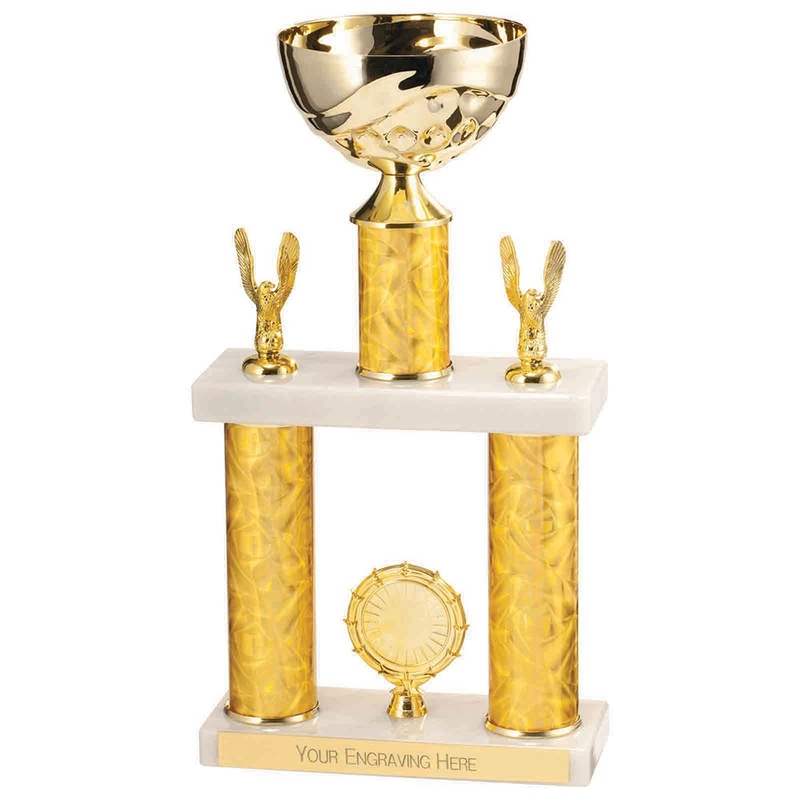 This amazing american style award is a perfect statement trophy for all sports and events. 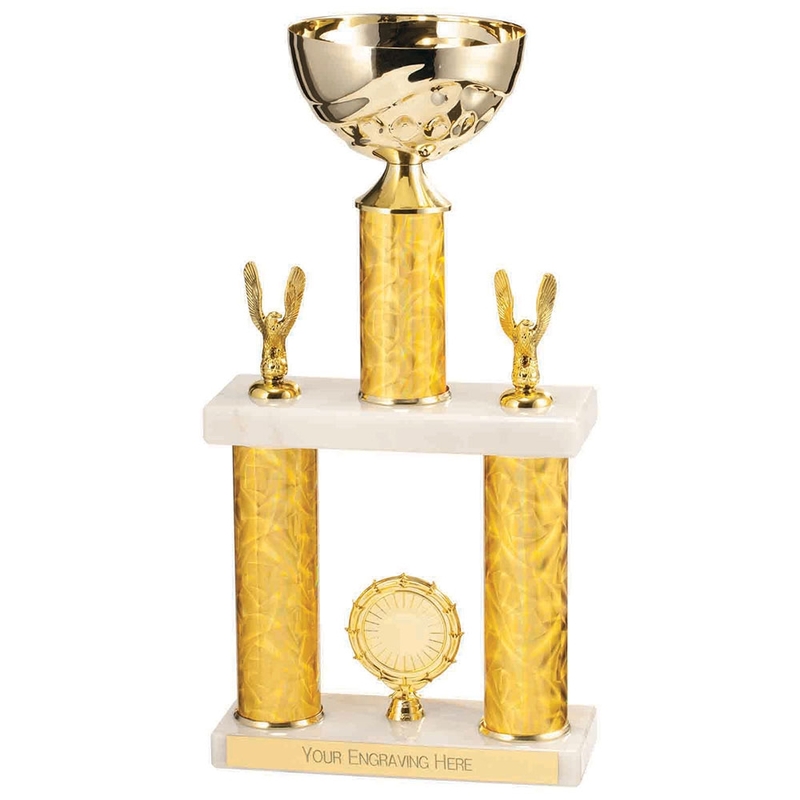 The trophy consists of a gold metal cup mounted onto a marble base, 2 gold columns, a gold centre holder on a marble base.